The minister, Jean-Michel Blanquer, was responding to a suggestion from Ile-de-France regional president Valérie Pécresse, who said that starting lycée days later would improve students’ health. Starting later would also likely improve students’ school performance, give them chance to have a proper breakfast before class, and make public transport less busy during the usual morning rush hour, she said. Writing on Twitter, Ms Pécresse asked Mr Blanquer to consider the idea for the Rentrée 2019. The idea may be rolled out slowly, on “a sliding scale” at first, he said. Delaying school start times for older children is not a completely new concept, with similar experiments successfully taking place in other countries, including the USA and UK. 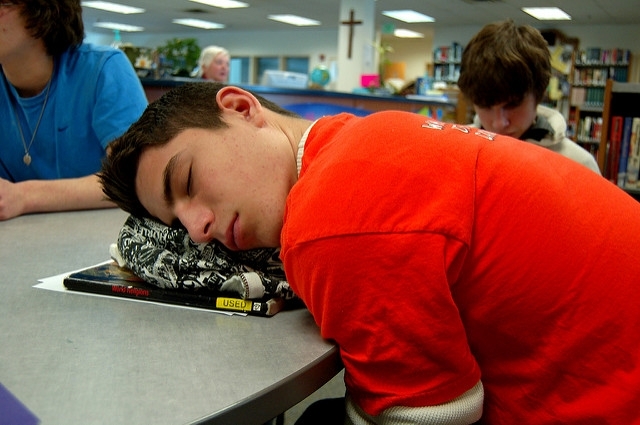 Sleep scientists have long explained that sleep patterns in teenagers and young adults are biologically different to those of young children or adults, and that starting classes later would have a positive impact on high school students’ health and educational results. Claire Leconte, a specialist chronobiologist for children and teenagers, spoke to French newspaper l’Obs, to explain why starting one hour later would be beneficial for lycée students. She said: “Lycéens are cruelly lacking in sleep. This deficit has repercussions on their wellbeing and their class results. “It is not as simple [as going to bed earlier]. From adolescence, we can see a disruption in hormonal systems, and with it, a delay in the sleep phase of one hour. Adolescents are naturally out of step. They feel tired later, get up later, and are hungry later.